Every Tuesday there will be an Oscar Primer going over the chances that nominated films have of winning their respective categories. Best Picture nominated films will be dissected on Contra Zoom, while the remaining ones will be discussed here. Last week I talked about Blade Runner 2049, Coco, The Big Sick and The Florida Project. This week I will go over Star Wars: The Last Jedi, Baby Driver, Logan and Guardians of the Galaxy Vol. 2. Star Wars: The Last Jedi was directed by Rian Johnson and was released on December 15th 2017. The film has four nominations. 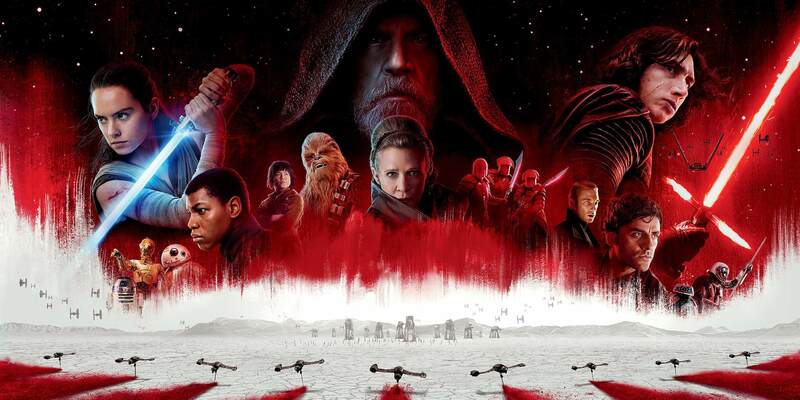 The Last Jedi is a curious movie; some people are calling it the best Star Wars movie ever made, while others (including myself) think it is a bit of a hot mess. The biggest difference in opinion seems to come from if people welcome the infusion of humour or think it is out of place and distracting. Luckily since this film isn’t nominated for Best Screenplay or Picture, I don’t need to go into what didn’t work with this movie for me and can instead focus on what it does well. The visual effects team continued to expand the Star Wars universe that J.J. Abrams started with The Force Awakens. The ‘porgs’ were a clever invention needed to cover up puffins on Luke’s island that was shot in Ireland. The continuing of putting epic lightsaber battles as the centerpiece of the universe is fun but all in all I don’t think there was enough boundary pushing achievements to put it past everything that Blade Runner 2049 and War for the Planet of the Apes did. John Williams nabbed his fifty-first nomination (he already has five wins) for his score and is now just eight nominations away from tying Walt Disney for the most ever by a single person. While there is no doubt about Williams’s status as a legend, the movie’s most memorable music moments are rehashes of older themes. While it would be amazing to see Johnny Greenwood win for Phantom Thread after missing out on a nomination for There Will Be Blood years ago, the category seems likely to go to either Alexandre Desplat’s score from The Shape of Water or Hans Zimmer work from Dunkirk, another key race that might point to a sign of who will win Best Picture. Other than the famous score’s from the Star Wars universe, the sound effects are its next most iconic parts. Everyone knows what a lightsabre being turned on sounds like or Chewbacca roar; this movie continues introducing new and interesting sounds to the landscape. Snoke’s echo-y chamber is chilling; the porgs screaming into lightspeed and the various world-building noises of gear and ships is always fascinating to hear. Much like the original score category, the Sound Mixing and Sound Editing awards seem destined to go to one of the Best Picture frontrunners. Baby Driver was directed by Edgar Wright and was released on June 28th 2017. The film has three nominations. After a four year absence Edgar Wright finally returned with his fifth movie and only his second not starring Simon Pegg and Nick Frost, but it didn’t matter because he continued to do what he does best, make a visual comedy with lots of action. The film earned its nomination for Best Editing with the opening scene. The first montage is a bank robbery set to the song Bellbottoms with every camera shot in sync with the song in stunning fashion. This scene alone is Oscar worthy and showcases how Wright has been perfected his visual and sound marriage to a superb edit job he has had since Shaun of the Dead. The movie should be considered the front-runner to win this award with Dunkirk and The Shape of Water nipping at its heels. The sound editing and mixing are most prevalent in two additional scenes (other than the opening heist). The first scene is the Harlem Shake coffee run, where in a long take Baby interacts with the world around him as the song drowns mostly everything out, but the perfect syncing with the additional sounds is spectacular. The next big scene occurs with the gun-purchasing showdown where the gunshots are synced to Tequila so the horn blasts and bullets go off at the same time. In a subtle clever move, Wright had a slight hum going anytime Baby wasn’t listening to music to mimic his tinnitus adding extra depth to the movies sound. If for some reason The Shape of Water and Dunkirk eat at each other’s votes (or Three Billboards Outside Ebbing, Missouri ends up the frontrunner), Baby Driver has a real chance of stealing these awards like cash from a bank. Logan was directed by James Mangold and was released on March 3rd 2017. The film has one nomination. 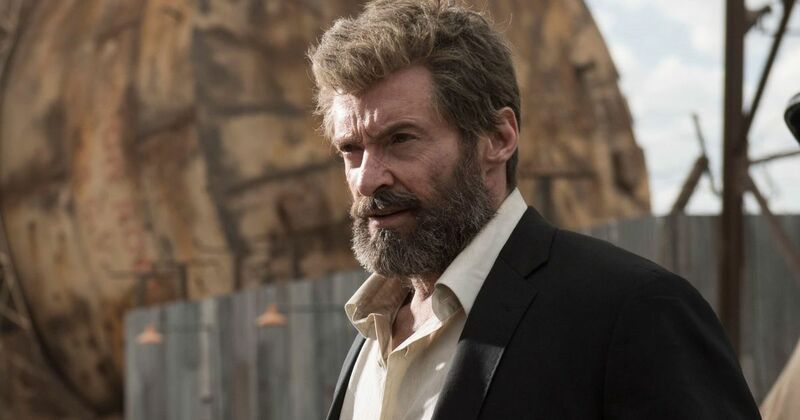 Based on the Old Man Logan series of comics, Hugh Jackman returns for one last Wolverine movie as he and Patrick Stewart bring a hard R to the X-Men franchise. The movie followed up Deadpool by separating the superhero franchise into a different tier not seen since Watchmen. The fact that it managed to get a screenplay nomination is a real coup for legitimizing the genre, but regardless of its comic book origins, the story is really great. Logan and Professor X grapple with age, parental instincts and what kind of legacy they are leaving the world with. All heady subjects, and it is great. Unfortunately, this is a stacked category that Call Me By Your Name looks to capture. Guardians of the Galaxy Vol. 2 was directed by James Gunn and was released on May 5th 2017. The film has one nomination. This is the only superhero movie to get a nomination for visual effects this year, and it is the most deserving with what it sets out to do. As Star Lord and the rest of the Guardians keep saving the universe we are introduced to more crazy alien creatures. Baby Groot, Rocket and Mantis headline the main cast with the trash panda dominating the effects. Ego’s planet is a beautiful creation and seeing it implode on itself was something to behold. Yondu’s arrow murder spree was another FX highlight for the movie. Unfortunately, the realism of Blade Runner 2049 or War for the Planet of the Apes are most likely to win this year.